Who knew learning could be so much fun? 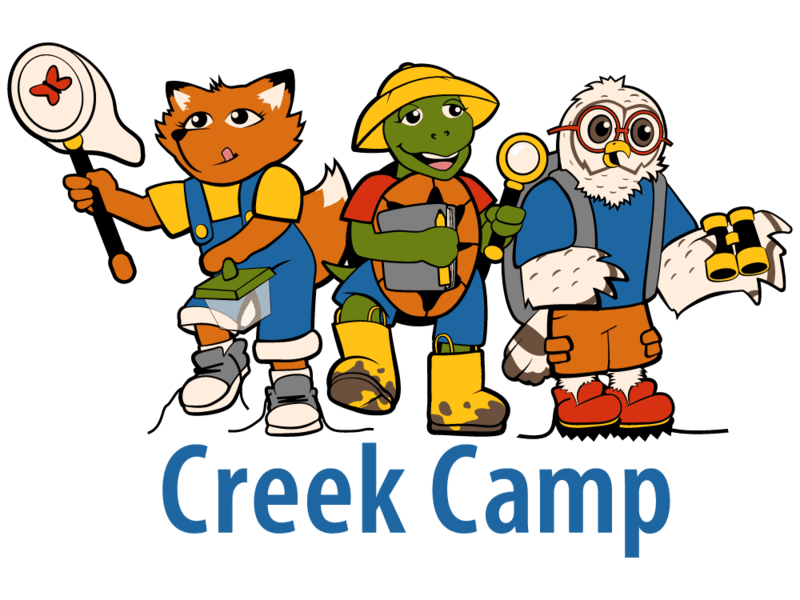 At Creek Camp, your child will be guided by naturalists and experienced interns as they explore the outdoors, learn about wildlife, enjoy unstructured play, practice outdoor skills, observe the wonder of nature and enjoy the beauty of the outdoors. Children will create memories while they learn and even get a little dirty, too. 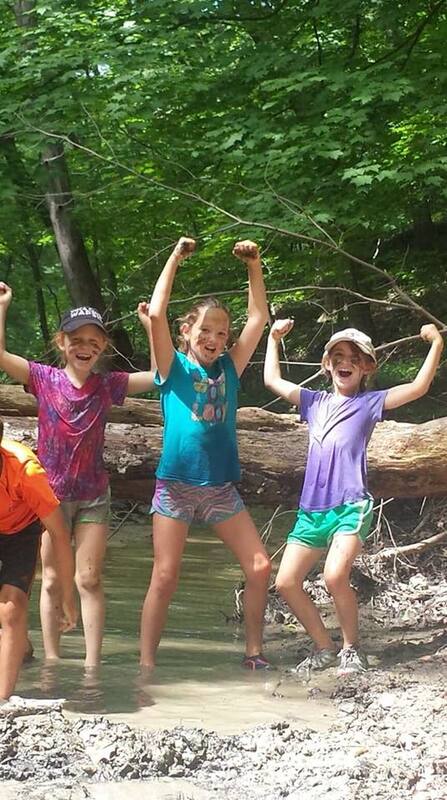 Creek Camp will help foster in your child a connection to the outdoors that lasts a lifetime! 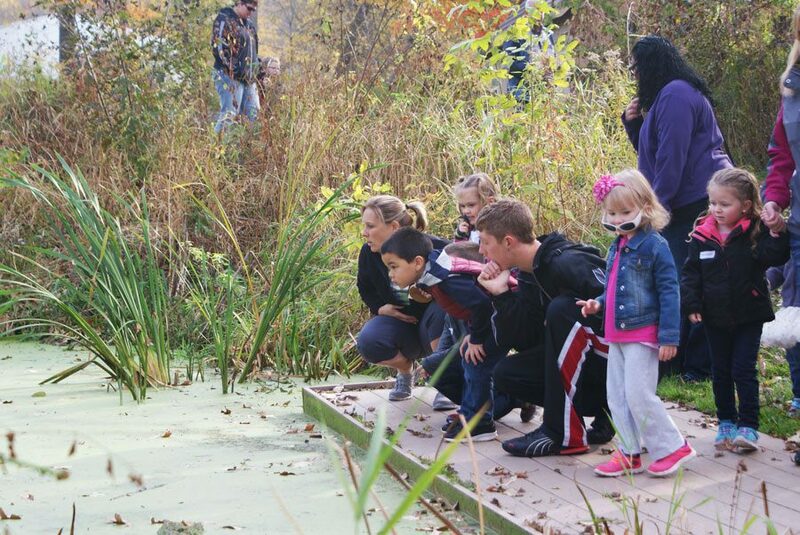 Hop on over to the pond to look and listen for the frogs and toads that live there. Why are they being so noisy? Play froggy games and meet amphibians up close. 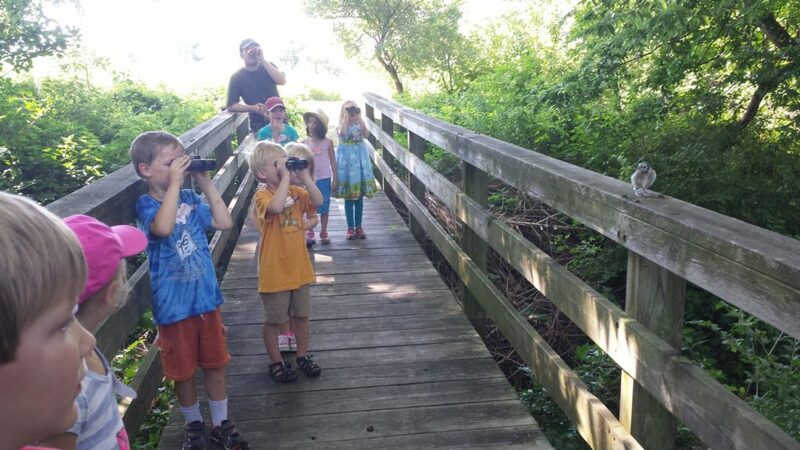 Learn about our feathered friends in this fun camp that’s all about birds! You’ll practice your bird watching skills and discover the differences among the birds that live around us. Explore the worlds of prehistoric creatures that once walked, swam and flew through Iowa and other lands. Get into the dirt and mud to dig up your own fossil finds. Explore the woods in the summertime. Feel the different bark textures, smell the decomposing leaves, search for shapes and patterns in the green leaves on the trees and play a tree game. Look closely at the special plants and animals that call the prairie home. Play games to learn the importance of camouflage in nature. Celebrate the tall grass and flowers that provide shelter, food and space for animals. Wetlands are interesting ecosystems! Explore the animals that make our pond and wetland their home. We’ll collect water bugs and meet scaly critters! 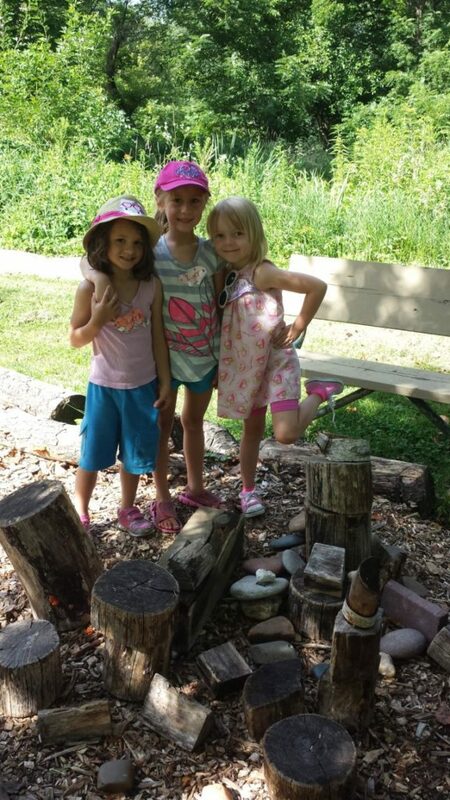 Come join us for a “campout” at the Nature Center! We’ll start the evening with fun and games and cook our own dinners over the campfire before setting out for an outdoor adventure. Later on we’ll reward ourselves with some s’mores and camp stories! 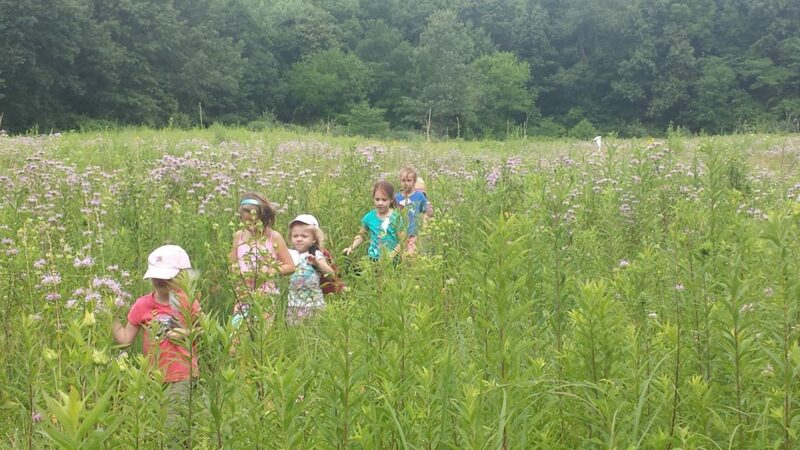 Immerse yourself in the beauty, wonder and adventure of the Nature Center for an entire week session of outdoor fun! Please note: Campers must have completed the grade listed. Snacks included; bring sack lunch. Dinner and breakfast included for the campout. Join! Become a Household Plus member of ICNC, and receive one $25 discount per member child per camp season. Discount applies to Four-Day Sessions or One Day Experiences. Complete your membership here to receive your discount code. Snacks, dinner & breakfast included. Bring a sack lunch. June 13, 9 AM – Overnight campout! *Dinner and breakfast are included for the campout. Do you like mysteries, challenges and outdoor adventures? This camp is for you! Get ready to test your survival skills in the outdoors, solve science mysteries through hands on experiences and learn about mythical and magical creatures. We’ll visit the Devonian Fossil Gorge for some fossil hunting adventures. We’ll end the day on Thursday with an overnight campout at the Nature Center. June 27, 9 AM – Overnight campout! Are you an adventurous spirit? This camp is for the outdoor recreation enthusiast. Join us for a variety of outdoor pursuits from hiking and surviving to spelunking and navigating. 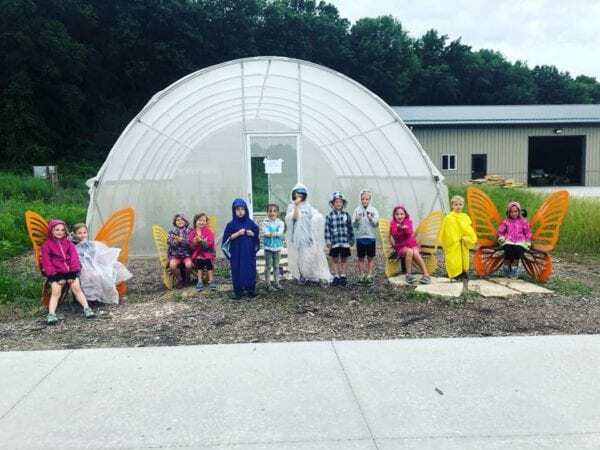 We’ll adventure at the Nature Center and also visit Palisades and Maquoketa Caves State Parks, and end with an overnight campout on the last day at the Nature Center! Get ready for a week long adventure in the great outdoors! Immerse yourself in the beauty, wonder and adventure of the Nature Center for an entire four-day session of outdoor fun! Please note: Camper must have completed the grade listed. Snacks included – bring sack lunch. Snacks included, bring a sack lunch. Isn’t the natural world inspiring? Nature and stories go hand in hand in this camp! 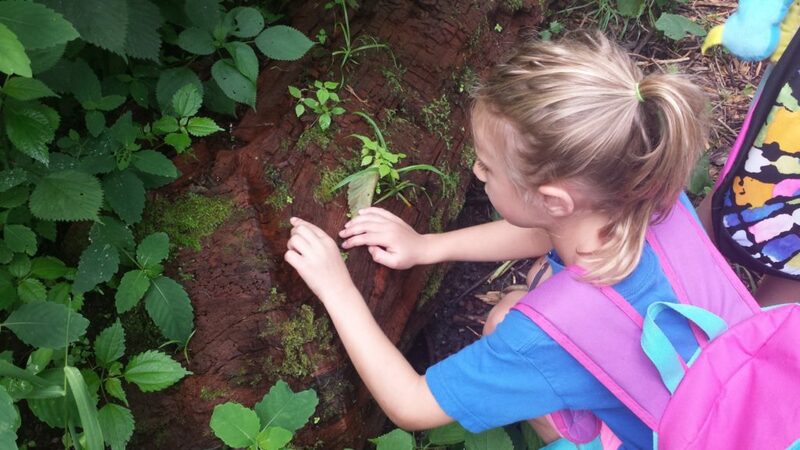 We will explore different stories of nature adventures while we work to create your own! 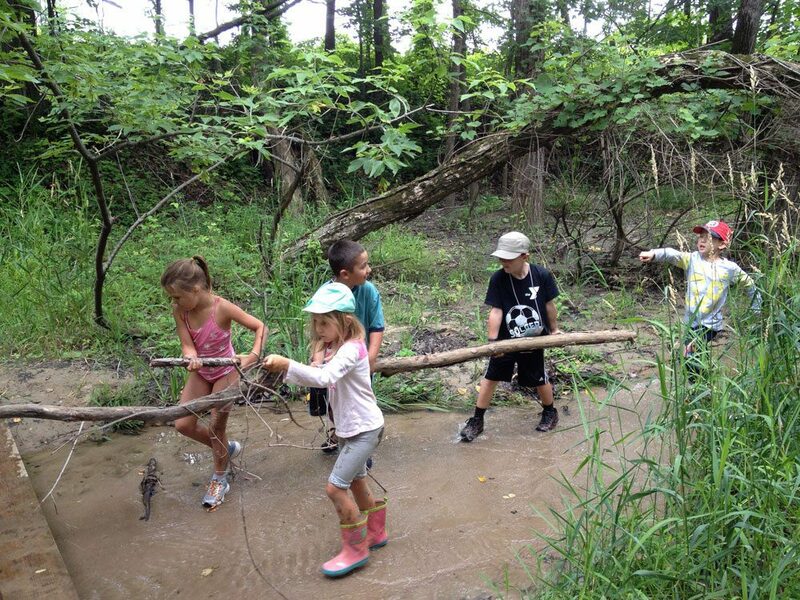 Play games, get dirty and create at this four-day camp. We’ll end the week with a showcase of all of our epic adventures and creations. How many critters can you find? Can you catch them all? (Catch and release, of course!) 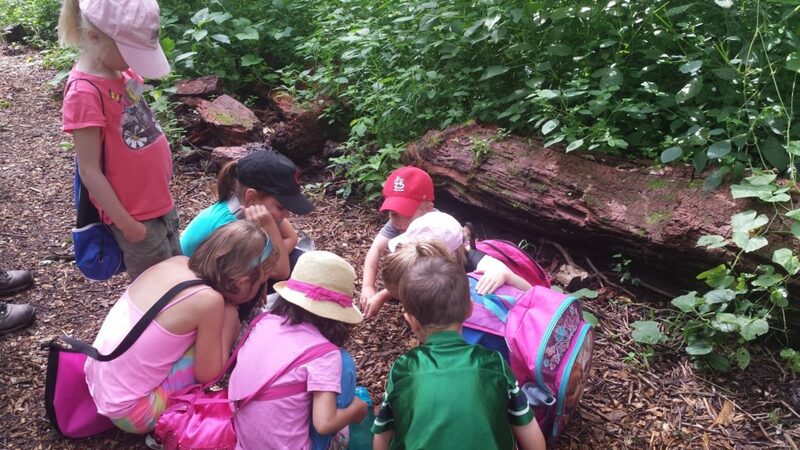 Let your imagination run wild as we search for all of the connections of the ecosystems at the Nature Center. Get ready to move! 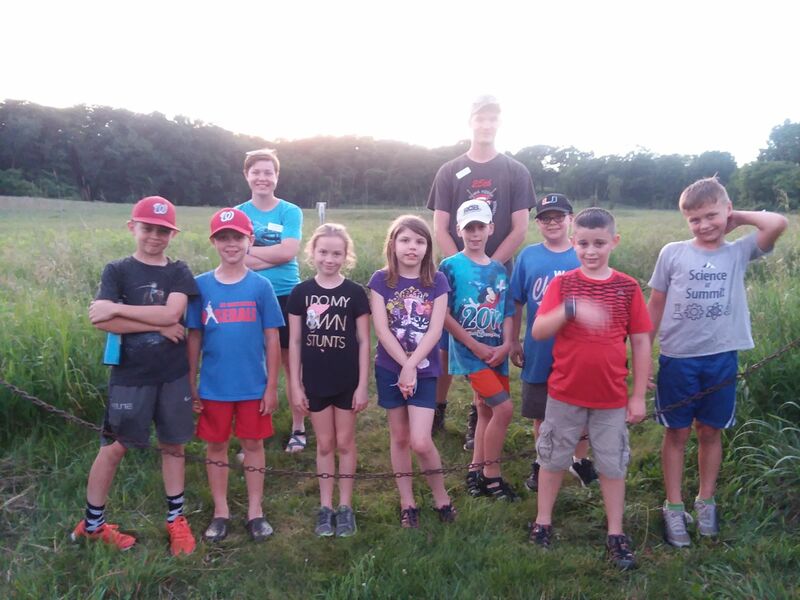 Walking through a creek, climbing hills, searching for water critters and crawling through the prairie are a few of the many adventures we will take on during this fun-filled camp. Be a part of the pack at the Nature Center this week! Go wild and explore the animals that make the Nature Center their homes. Each day we will visit different habitats and the animals that live there, from forest to wetlands, to prairie and streams. Enjoy wild games, crafts and adventures! Full-day camps perfect for first-time campers looking to get their “feet wet,” or anyone looking for one day of fun and excitement! Snacks included; bring sack lunch. Please note: Campers must have completed the grade listed. Let’s build our wilderness skills! Join us for a day full of adventure where you will work as a team to design and create a fort, try to build a campfire without a match and explore. 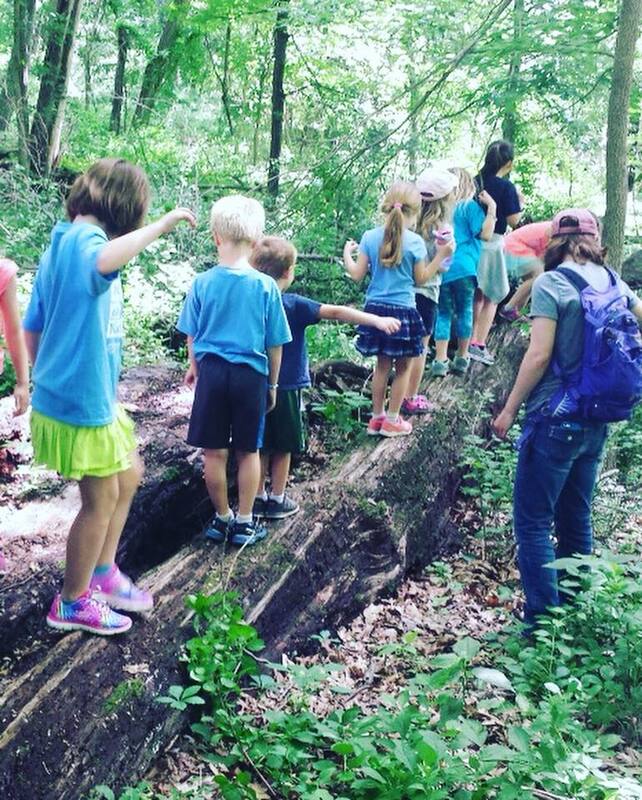 We’ll spend lots of time outdoors, so come prepared to spend the day in the woods at the Nature Center. Water, water everywhere! 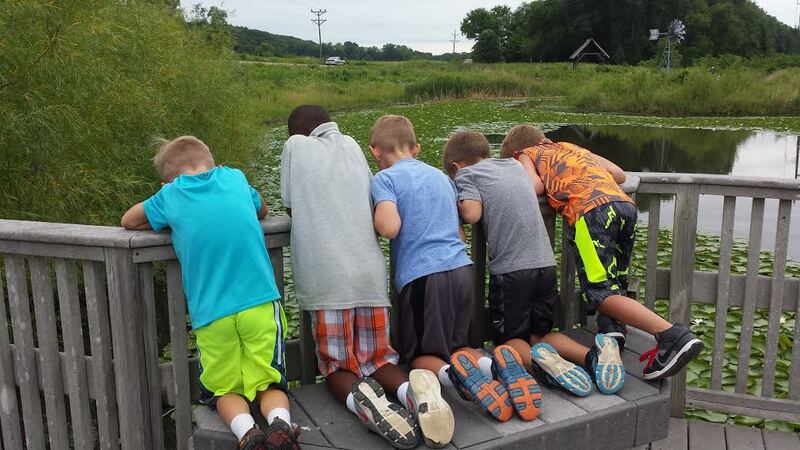 Use your five senses to explore the wonderful wetlands, brook and pond at the Nature Center! 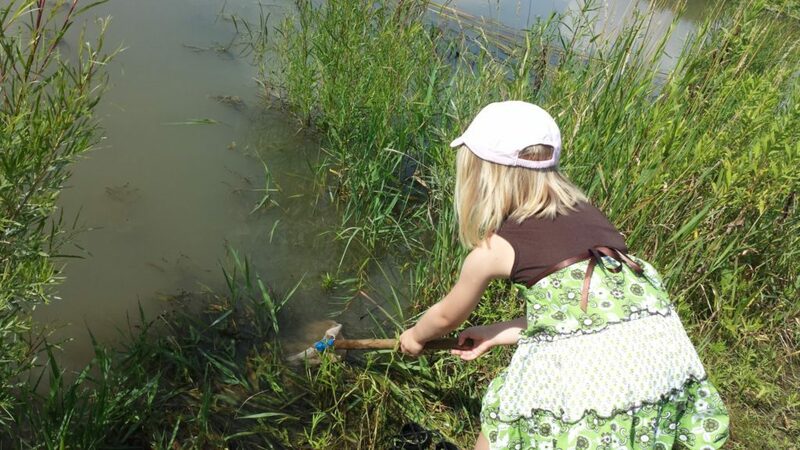 We’ll catch water bugs and frogs, play water games, go creek stomping and more. Keep cool at this water-themed camp. Journey to the sun, moon, stars and planets without having to leave the Nature Center. We’ll still venture outdoors, of course, as we explore and learn about our universe and beyond. 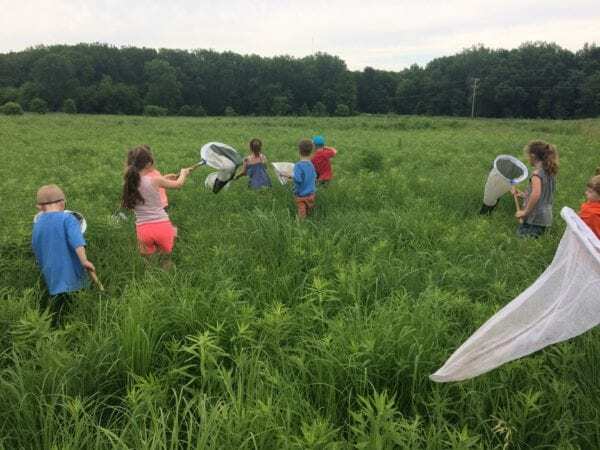 Search high and low through the tall prairie grasses, dip your net into the pond and look through the woods for the creepy crawly insects. Get ready to move and explore as well as get wet and muddy as we search for critters — incredible insects live in nearly every habitat we have! Hike and explore the trails of Wapsipinicon State Park. We might explore caves, dip our nets in the pond or stream, enjoy a picnic lunch or see where the trails take us. We may also stop by Jones County Nature Center on this all day adventure. Whether you’re an old pro at camps or brand new, come and join us for some of our favorite Nature Center camp activities, from creek stomping to playing Fox and Rabbit in the prairie, getting an up-close look at the plants and animals that live here, or just exploring the outdoors together with friends old and new!